For the best experience, we recommend that you install Google Chrome for Android. You're using the default browser (often called "Browser" or "Internet"), which has been discontinued and replaced with Chrome. Chrome is the new default because it's faster and more stable, has fewer bugs, and is free and always up to date. Right now, you're using Internet Explorer 9, which lacks some of the features that make using ECLDS a great experience. For best results, we recommend that you update to version 11 or newer, or use Mozilla Firefox or Google Chrome instead. 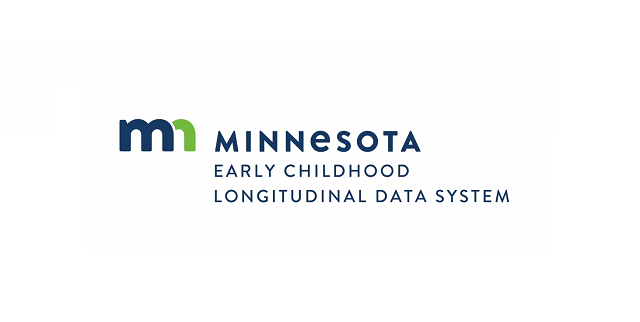 Welcome to Minnesota's new Early Childhood Longitudinal Data System site! We are excited to offer this new and evolving tool to help our state answer questions about young children and their development and learning. Keep in mind, this is Minnesota’s foundation for filling gaps in knowledge on children. We are excited to continue to grow our system and provide more and robust information for all interested users around the state. Thanks for visiting! Please come back often, we are constantly growing and adding new features. If you have any questions please contact eclds.support@state.mn.us. American Community Survey (ACS) data about families with young children is now available in smaller age bands for all states, District of Columbia, and Puerto Rico. ACS data can be time-consuming to access, interpret, and use. Minnesota has purchased, with SLDS funding, customized ACS tables divided into three smaller age bands that offer users data for children under age 6. Access your state’s data today. We are pleased to announce the release of the Early Hearing Detection and Intervention (EHDI) report for the Third Grade cohort. This report focuses on the experiences and educational results of children who have been identified as deaf/hard of hearing, measured by program participation, third-grade achievement, and the degree of their hearing loss. Due to the small size of EHDI population, data are offered for three years at a time. The ECLDS now contains data for the 2016-2017 school year. This means that there is a fourth year of data for reports that rely on education cohorts! Users can now begin to see trends, one of the overarching goals of integrated data systems. Child Trends blog highlights the importance of sharing data between family home visiting and early care and education. In Child Trends’s new blog series they will be discussing the importance of family home visiting and early care and education programs working together. This includes sharing data and exploring ways to collaborate more effectively. Minnesota is currently working with Saint Paul-Ramsey County’s family home visiting program under the SHINE grant to explore the feasibility of integrating family home visiting data into the ECLDS. What we learn can help other states who are interested in undertaking the same linkages. View more information and how to subscribe. This project is funded by the Minnesota Department of Education using federal funding, CFDA 84.412A- Federal Race to the Top Early Learning Challenge Grant. American Community Survey (ACS) data about families with young children is available below. Use the drop-down menus to choose state and data topic, and download in spreadsheet format. You will find that results are available here in smaller age bands than on the ACS website. Information is available for all states, District of Columbia, and Puerto Rico. County-level information is expected by the end of 2019. Learn more about these ACS early childhood population estimates in the user guide. SOURCE: U.S. Census Bureau, American Community Survey, 2011 thru 2015. Get ready to explore and learn more about early childhood services across the state and the children who participate in them with Nourishing Our Children for Success. This easy-to-navigate data story offers you context to data currently available from the Minnesota Departments of Education, Health, and Human Services that are included in the Early Childhood Longitudinal Data System. Throughout the story you will access powerful data visualizations of statewide, district, county, and legislative district data for some of the early care and learning programs available in Minnesota, for your own exploration. All Minnesota children should have access to a system of high-quality early care and education programs. Children who are healthy and successful socially, emotionally, and academically have a better chance of becoming economically productive and engaged citizens. In Minnesota, young children have the opportunity to start building their learning skills in preparation for kindergarten and overall school success through various state programs that promote school readiness. Some of these programs have been designed to meet the specific developmental needs of children in poverty and help their families provide a healthier environment for them. Children with high needs2 who participate in well-designed early childhood programs are likelier to be ready for kindergarten and further succeed in their educational pathways. The purpose of Nourishing Our Children for Success is to provide community leaders easy-to-access, meaningful data about early childhood in order to make informed decisions. Minnesota values supporting young children through publicly-funded programs and services so that they are at their optimal health and ready to learn. Some examples include Early Childhood Health and Developmental Screening (ECS), the Early Childhood Indicators of Progress (ECIPS), and the Kindergarten Entry Profile (KEP). Each of these initiatives provides guidance and early identification of child needs. Although data from these programs are not yet included in the ECLDS system, they constitute important foundations for other services and programs. Minnesota children receive a free early childhood screening prior to entering public kindergarten by their school district. Screening is a simple process that allows school administrators and teachers to measure a child’s development status. Through the Early Childhood Health and Developmental Screening program (ECS), children must receive a free early childhood screening between age 3 and no later than 30 days after entering public kindergarten or within 90 days to attend other early learning programs. The screening requirement may be met by completing a comparable screening through a school district, Head Start, Child and Teen Checkups, or a health care provider. Screening is a simple process that measures a child’s developmental status; a child may be referred for a more in-depth health assessment, diagnostic assessment, or educational evaluation as a result of ECS. Children and their families may also be referred to free early learning opportunities and resources, such as Early Childhood Special Education, Head Start, Early Childhood Family Education (ECFE), prekindergarten programs, early learning scholarships, and/or home visiting programs. Programs and services that assess the development and learning of young children may do so in a variety of ways. Decades of research has shown that the most thorough assessments of young children address multiple areas or “domains” of learning and development. The Early Childhood Indicators of Progress (ECIPs), Minnesota’s early childhood learning standards, are a common set of developmentally appropriate expectations for children age birth to kindergarten aligned with kindergarten academic standards. The ECIPs are used in all areas of the early childhood system, as well as used in all Minnesota programs (aligned with Head Start Early Learning Outcomes Framework). This provides consistency and coherence for children, families, teachers and administrators. ECIPs parent guides offer ideas for simple activities families can do to help children gain knowledge and skills. In many Minnesota elementary schools, kindergarten teachers complete some form of assessment to understand the status and needs of their new students. This helps them plan effective lessons and understand the unique needs and abilities of each child. Minnesota has a Kindergarten Entry Profile (KEP) initiative that gathers data at kindergarten entry from kindergarten classrooms that volunteer to participate. Over the last three years, the data collected has been used to pilot the alignment of assessment tools to one another and the ECIPS. This work ensures that kindergarten teachers using these assessments with young children are measuring the same thing. The KEP data are not currently used for state-level analysis because it is voluntary and they are not representative of all kindergartners in the state. When assessing children’s learning and development, standards must take the unique needs of dual-language learners into account. Learning two or more languages is an asset, and children need to be supported to use both their home language and English. There are many ways early educators may use ECIPs with dual language learners, including celebrating the cultural and linguistic diversity of children and their families, supporting children’s fluency in their home language or honoring home languages if staff are not proficient in that language, using best practices to teach English, establishing a culturally responsive learning environment across domains, supporting children’s language development through play and talking, and reading and singing together in both English and home languages. Children who participate in quality early care and education programs are more likely to be successful in school, graduate from high school, enroll in higher education and professional training, become productive adult citizens, and be less likely to enter the criminal justice system. Minnesota children may receive free early childhood health and developmental screening starting at age three to identify potential needs of children and provide supports to meet those needs. The Early Childhood Indicators of Progress (ECIPS) can help programs serving young children ensure they are addressing all of the relevant domains of child development. Minnesota’s Kindergarten Entry Profile (KEP) has piloted the alignment of a variety of classroom level assessments administered within the first 8-10 weeks of the kindergarten year and aligned to the ECIPs. 2 Children with high needs refers to a variety of demographics, such as poverty, residing on Indian lands (reservations), having a disability or developmental delay, being an English language learner, living in a high-crime community, having an incarcerated parent, or having a parent with a disability. Center on the Developing Child (2007). Early Childhood Program Effectiveness (In brief). Retrieved from www.developingchild.harvard.edu. 3Screening data is collected in the Minnesota Automated Reporting Student System called (MARSS), it collects student data required by the Minnesota Department of Education. 4According to Minnesota Statutes 120A.20, 121A.17, 121A.15 (https://www.revisor.mn.gov/statutes/cite/121A/pdf): A child is eligible for kindergarten when he/she is at least 5 years old by September 1st of the child’s enrollment year, has received early childhood health and developmental screening and has received medically acceptable immunizations. Minnesota children and their families may participate in one or more public Early Care and Education (ECE) services designed to meet their health, educational, social and economic needs. ECE services are explored in the coming chapters, and data from these programs help us understand the successes, challenges, and opportunities the state faces to better serve our children. The Child Care Assistance Program: CCAP helps low-income families pay for child care so that parents can work or go to school. Families are allowed to choose the child care provider that best meets their needs. These may be licensed child care centers, licensed family child care homes, licensed exempt centers (i.e., school-age programs run by schools), or legally non-licensed providers. Early Childhood Family Education: ECFE provides parent education for parents (including expectant parents) and their children ages birth through third grade. ECFE focuses on strengthening families by enhancing the ability of all parents to provide the best possible environment for the healthy growth and development of their children. Since all parents need information and support to raise healthy children, ECFE is a universal program, and participation is not restricted by income level or special needs. ECFE recognizes that the needs of families can vary by location and work closely with public and private community organizations to create programs and connect families with resources that serve the needs of the families in their particular district. Early Childhood Special Education: ECSE provides supports and services to infants, toddlers, and preschool children with disabilities and their families. Children and families are connected to ECSE services via referral from a variety of providers, including pediatricians, school districts, child care providers, and Head Start. The Minnesota Family Investment Program and Diversionary Work Program: MFIP/DWP are economic supports to low-income families. MFIP/DWP have work and work preparation requirements intended to help parents secure and retain employment. Families must be income-eligible; these families are also eligible for CCAP. The Supplemental Nutrition Assistance Program: SNAP (formerly also known as food stamps) provides families with supplemental resources to purchase food for their household. Families must be income-eligible. School Readiness: The School Readiness program, or “Minnesota District Prekindergarten” programs, are intended to prepare children for kindergarten. A child is eligible to participate in a school readiness program if he or she: is at least three years old on September 1; has completed health and developmental screening within 90 days of program enrollment; and either qualifies for free or reduced-price lunch, is an English learner, is homeless, has an ECSE plan, has an identified learning risk factor identified through health and developmental screening, or is at risk by school district definition. Early Learning Scholarships5: Scholarships provide funding to increase access for three- and four-year-old children with the highest needs to high-quality early childhood programs with the goal of improving their school readiness. To be eligible, a program must be rated through Parent Aware, Minnesota's quality rating and improvement system. Children age birth to age two are eligible if they meet any of the following criteria: child of a teen parent; currently in foster care; in need of child protective services; experienced homelessness in the last 24 months; or has a sibling awarded a scholarship and attending the same program. Enhance system of prenatal through Grade 3 leadership. Expand access to high-quality education, services, and instructional time for all children. Strengthen and align instruction, assessment, and curriculum. Support evidence-based practices for family and community engagement. Ensure a highly skilled workforce. Use data to inform policy, planning, practice, and professional development. Minnesota has a number of funding supports and programming options for young children and families. Some are targeted; some are an option for every child. CCAP helps low-income families pay for child care. ECFE is a universal program that provides education for families on enhancing the environment for child healthy growth and development. ECSE provides supports and services to young children with disabilities and their families. MFIP/DWP provide economic support to help parents secure and retain employment. SNAP provides supplemental resources for low-income families to purchase food. School Readiness is a district-implemented preschool program for children with specific needs. Early Learning Scholarships increase access to high-quality Parent Aware-rated programs statewide for children with the highest needs. Minnesota's young children are diverse and diversity has been increasing over time. The percent of white children has decreased 3% from 2006 to 2016 while the proportion of children of color has been on the rise. Since 2006, the proportion of Asian children grew by 1%, Black children by 1%, Hispanic/Latino children have remained steady at 9%, and children of two or more races by 1%. Source: Office of the Legislative Auditor, Analysis of data from the Minnesota State Demographic Center. 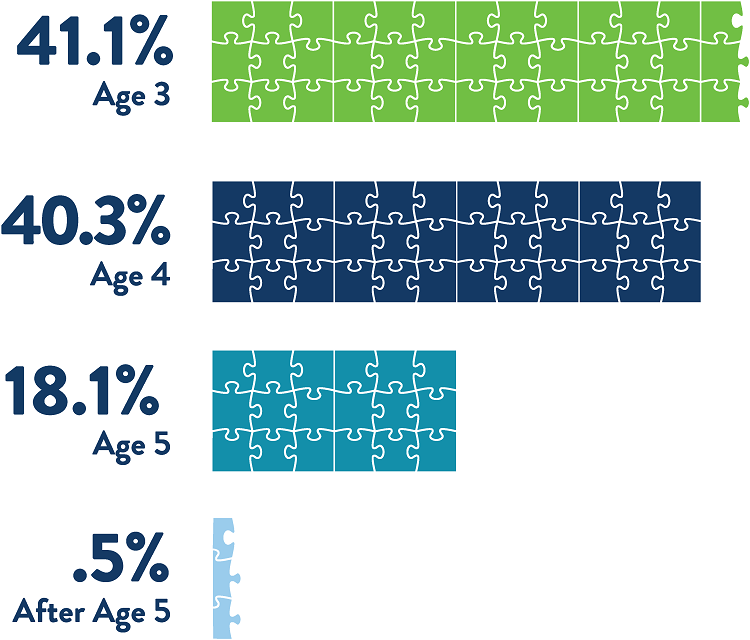 Understanding the demographics of children who are served by ECE programs is essential for improving services, adapting them to the needs of the community, and better designing outreach programs to fully serve those children who need them the most. Explore the following dashboards to discover how Minnesota children are benefiting from ECE services in your county, school district, or legislative district. Data may not be available due to current selection(s) and data privacy requirements. Depending on their design, ECE programs serve children from low-income families or the universal population. CCAP serves primarily children of color. Statewide, many more Black/African American children are being served compared to other children of color. ECFE serves an increasingly diverse population, approximating the population at the state level for a universal program. ECSE may identify more children of color than those who are served. Parents have a choice and may decline services. This chapter is dedicated to exploring Minnesota children’s participation in ECE programs. As described in Chapter 1, research shows a significant return on investment for communities when children are able to participate in high-quality early care and education. Not all young children are able to participate in high-quality programs due to a variety of factors: lack of expansion funding, shortage of trained staff and low wages, and geographic mismatches between where families need care and where it exists. With the exception of ECSE, all the early childhood programs shown below could serve more families and children if more funding were made available. In this context, understanding how children are accessing ECE programs is relevant for allocating funds. The following dashboard will allow you to discover how Minnesota children are participating in ECE services in your county, school district, or legislative district. Statewide, children from low-income families are participating in public Early Care and Education (ECE) programs at high rates. Increased state investment in recent years in CCAP, Early Learning Scholarships, Head Start, Voluntary Pre-K, ECSE, and School Readiness Plus+ have had a positive impact on increasing participation of low-income children and children of color. Significant additional investment is necessary to reach all eligible populations early. This chapter is dedicated to exploring participation trends of Minnesota children in ECE programs by poverty and race. Participation trend data can be used to forecast changes in the demand for specific programs in the future, or to learn how children and families are accessing multiple programs over several years. Poverty and race participation trends also illustrate how programs complement one another in practice, or how staff might adjust their outreach to better serve children of a specific demographic. The following dashboards will allow you to discover the ECE participation trends by poverty and race in your county, school district, or legislative district. In The Value of Early Learning, MFIP/DWP, and Food Assistance are used as a proxy for understanding lower socioeconomic status. Note: The increased participation rate of children of color and the increase in known participation in ECE programs across all races and ethnicities may be partly attributed to increased collection of data for ECFE and District Preschool. Kindergartener participation in MFIP and SNAP has remained stable from 2013 to 2016. Statewide, participation in ECE programs has grown among those receiving MFIP or SNAP (i.e., low income families), and those not receiving income or food assistance. Participation by kindergarteners whose families are on MFIP grew slightly in FY16. Kindergarteners in families on SNAP increased. The largest increase in participation was observed amongst kindergarteners whose families received no cash or food assistance because it is a universal program open to all families. Early Childhood Family Education (ECFE) tends to attract families that are less likely to access MFIP and SNAP. Children from families receiving cash or food assistance represented a higher proportion in ECSE, almost 52% from FY14 to FY16. The youngest Minnesotans are increasingly diverse. The ever-changing face of Minnesota children means that the state’s programs, policies, and investments must adapt in order to address their needs to ensure school readiness and well-being. Strategies to continue current progress include targeted outreach and investment, cultural integration to programs and curriculum, and an increase in program and policy leaders and educators from communities of color. Recent investments in programs and policies targeted at increasing early education program access for low-income children like CCAP, Head Start, Voluntary Pre-Kindergarten, School Readiness Plus, and Early Learning Scholarships, have successfully increased access for children of color. Additional targeted investments in these communities would continue to improve affordability and access while supporting cultural identity. A key recommendation by the Office of Legislative Auditor is for the legislature to consider aligning funding and eligibility requirements of certain early childhood programs to make them more understandable and efficient. This change may increase access. A child’s culture and race are highly influential to their learning, and cultural preferences should be taken into account in instructional and family engagement practices within early childhood programming.6 When a child’s culture is acknowledged and welcomed in their learning environment, they are more likely to thrive and their family is more likely to be engaged. As the diversity of Minnesota’s children continues to grow, it is important for programs to adjust to these changing needs learning and cultural preferences. CCAP is successfully reaching the target populations that benefit most from access to stable, high-quality child care while parents work to improve family economic stability. This evidence demonstrates that CCAP is a key to success for many young, lower income children and children of color, and there is opportunity for expansion of services and benefits, if supported by more funding. Statewide, children of color are underrepresented in Minnesota District Prekindergarten, or School Readiness programs. This offers Minnesota school districts an opportunity for ongoing target outreach and increase funding to reach more children of color and American Indian children. Recent legislation requires ECFE programs to conduct annual community needs assessments. Among other things, these assessments must identify new and underserved populations and programs should develop programming and services for families identified in the needs assessment. Local ECFE programs should continue to enhance efforts for reaching families that access MFIP and Food Programs, similar to how some ECFE programs have built outreach to other new and underserved populations. Given the low participation rates for many populations of color and low-income children in ECSE, there is an opportunity for outreach to families in these communities whose children are likely eligible for ECSE. Providing intervention services early will decrease the likelihood of needing those services later on -a benefit to the family and child, as well as cost savings to the state. The Office of the Legislative Auditor (OLA) recently recommended that the "Legislature should consider requiring assessments of school readiness as children enter kindergarten." The Department of Education agrees with this recommendation, though statewide implementation will require additional funding. The OLA also recommended the use of a universal identifier across all programs, as well as fully funding a statewide Kindergarten Entry Profile. This innovative tool combines data collected by the Department of Education, the Department of Human Services and the Department of Health into one online, interactive database. The system protects the privacy of children by not showing data for individual children. It shows population results only. It shows children’s growth and achievement in relation to their participation in a variety of educational and social programs over time. Our government invests a lot of money into programs that help children. As it is now, we don’t have a complete picture of all the ways that the money has helped those children. Each department collects its own data: the education department collects education data, the health department collects health data, and human services human services data. Decision-makers rely on comprehensive information to make decisions. If all the data we collect were linked, we would be able to see what outcomes were generated across more than one program. This online data tool is intended to do just that. We are able to build this tool because of funding from the federal Race to the Top Early Learning Challenge Grant. Minnesota already has all this data. The tool just makes better use of what data we already have at state agencies. The database shows users a variety of information. For example, you can look up how groups of children did in elementary school after participating in a certain type of early childhood program. For the first time, anyone is able to explore how children benefit from government programs when they are very young. The system does not reveal data on individual children. Research shows that the early years of a person’s life are very important, so we need to know whether our programs for young children are helping. The ECLDS allows anyone to see information on the results of multiple programs. Learning what works now will inform what we do in the future to help our children thrive. The ECLDS is a go-to source for anyone who is interested in our kids’ well-being. Anyone who wants to know whether we are spending public money wisely can use the system. This includes lawmakers, educators, community members, and parents. 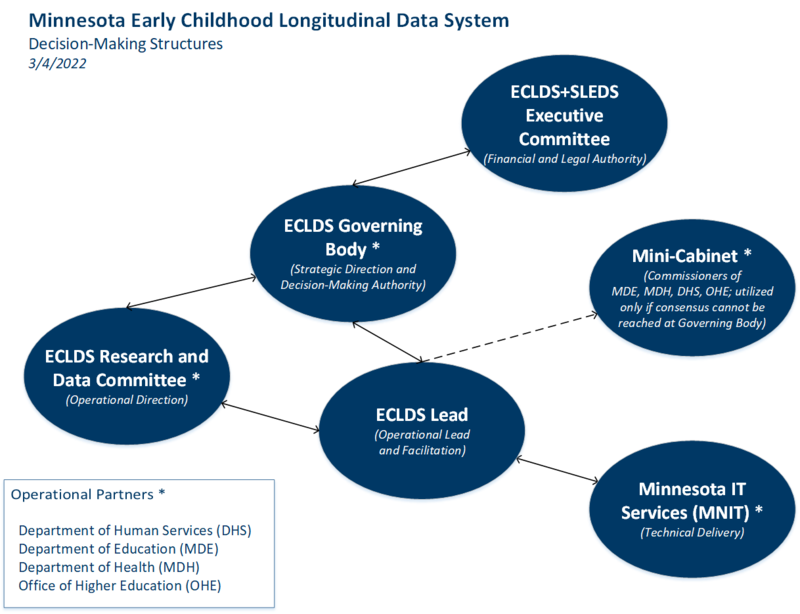 ECLDS is the early childhood companion site to Minnesota’s Statewide Longitudinal Education Data System (SLEDS). SLEDS is managed jointly by the Minnesota Office of Higher Education (OHE), the Minnesota Department of Education (MDE), and the Minnesota Department of Employment and Economic Development (DEED). Together, the two sites, ECLDS and SLEDS, form a P-20 education data system, which captures, analyzes, and uses student data from preschool to high school, college, and the workforce. 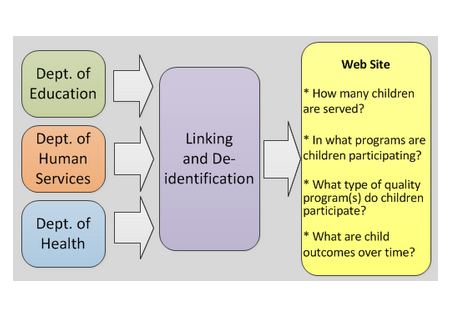 This diagram shows the governance structure of the Early Childhood Longitudinal Data System. There are two bodies in this governance structure. The first is the ECLDS Governing Body. The second is the ECLDS Research and Data Committee. The Governing Body appoints members to the Research and Data Committee and the Research and Data Committee makes recommendations to the Governing Body. Both groups have members from the state departments of Education, Health, Human Services, MN.IT, the governor’s Children’s Cabinet and professional associations. This diagram shows the structure of the Early Childhood Longitudinal Data system and the flow of data. Data sources are provided by the Departments of Education, Human Services and Health. They come into the system and are linked. Once linked, they are de-identified. This means that any data elements that can identify an individual are removed. Once de-identified, the data is moved to a warehouse which helps provide information to answer a variety of policy questions. Users can visit the web site where the de-identified data in the warehouse is available to answer a variety of questions. Four high-level questions that are being addressed with ECLDS data are: How many children are served? In what programs are children participating? In what types of quality programs do children participate? and What are child outcomes over time? Click below to open the ECLDS Data Guide in its own browser tab. Click below to open the ECLDS data dictionary in its own browser tab. County Counts Counts of children served in different common public programs / services. Early Childhood Programs Brief descriptions of each public program included in the ECLDS. The ECLDS does not include Kindergarten Entry Profile (KEP) data. The voluntary data submitted to MDE constitutes a sample too small to be representative of kindergartners across the state. Conclusions cannot be drawn from such a small sample size. New data sources and data from more recent time periods are added throughout the year. Check back often to see updates. © 2019, The State of Minnesota.